This compelling book looks at the work of three influential women artists and at the import of feminism in their practices. Painters Lee Lozano (1930-1999), Sylvia Plimack Mangold (b. 1938), and Joan Semmel (b. 1932) are each intensely private and--to varying degrees--chose or have chosen to disappear into their studios to work. Seemingly unconcerned about the prevailing styles or movements, these three women nevertheless each contributed to transformations in the art world. 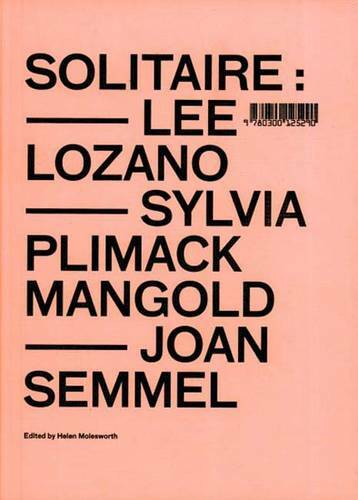 Solitaire examines in depth the three artists' work, sets the historical and social context, and analyzes the private endeavor of the artist alongside the critical reception of their art. The authors call attention to other artists who, like these three, have chosen private or idiosyncratic paths that too often exclude them from art historical narratives.